Within each of the Study Groups, the Scientific Commission Executive Committee organises the collaborative work of the various Sub-Groups and Task Forces, smaller units which are dedicated to specific objectives. 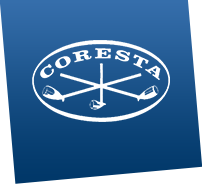 Each Member Organisation may designate participants to any of these working groups, which meet during the year, and report on their progress to their Study Group Executive Committee attending the Scientific Commission meetings two or three times a year, and give a yearly report at CORESTA events. A specific Agro-Chemical Advisory Committee (ACAC) is appointed by the Scientific Commission to gather and maintain data on agrochemical use and regulations. Its members are co-opted.